All plants in natural ecosystems are thought to be symbiotic with fungal endophytes, some of which confer abiotic stress tolerance (drought, temperature, salinity). 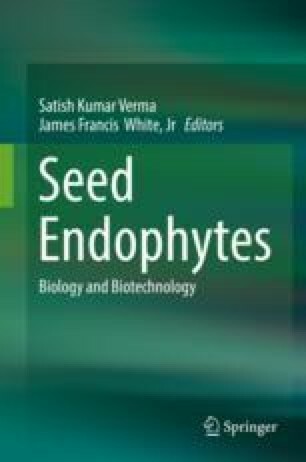 Recently, some of these fungal endophytes were commercialized as a product, BioEnsure®, to confer abiotic stress tolerance to food crops (www.adsymtech.com, Redman and Rodriguez, Functional importance of the plant endophytic microbiome: implications for agriculture, forestry and bioenergy, Springer, 2017). These endophytes enhance crop production on marginal lands and diminish the impacts of high temperatures on crop fertilization. Yield results from endophyte-colonized monocot and eudicot plants are remarkable and directly proportional to stress levels. Under low stress, BioEnsure® yield averages are 3% above control plants and increase to 26% under high stress. This was best exemplified in Rajasthan, India, where BioEnsure® was applied to pearl millet and mung bean seeds for 400 small landholding farmers. Under the hot, dry growing conditions that are typical in this part of India, the resulting average yield increases were 29% and 56%, respectively, compared to untreated plants. This translated to improved food security, animal fodder, carry-over seed, and revenues. Interest in the USA is growing with BioEnsure® treated seeds planted in 300,000 acres in 2017 and 600,000 acres in 2018, and more than 2,000,000 acres are projected for 2019.